For those of you who follow Poshmark on Snapchat or Instagram, they finally announced the location and date of Poshfest 2017! Looks like we’re going to pack our parkas anyway! Shish-Kabob, Shawshank Redemption, CHI- KAAAA-GO!!! One of my favorite places in the world! The Windy City is FULL of amazing places to eat, places to shop, and places to go out and have a good time. Also a great place to host this year’s Poshfest! I for one look forward to attending, that’s right Healthy Girl Fashion will be at Poshfest 2017, so I look forward to seeing you all there! I’ve been working on some goodies to hand out all my subscribers that go, so make sure you subscribe! 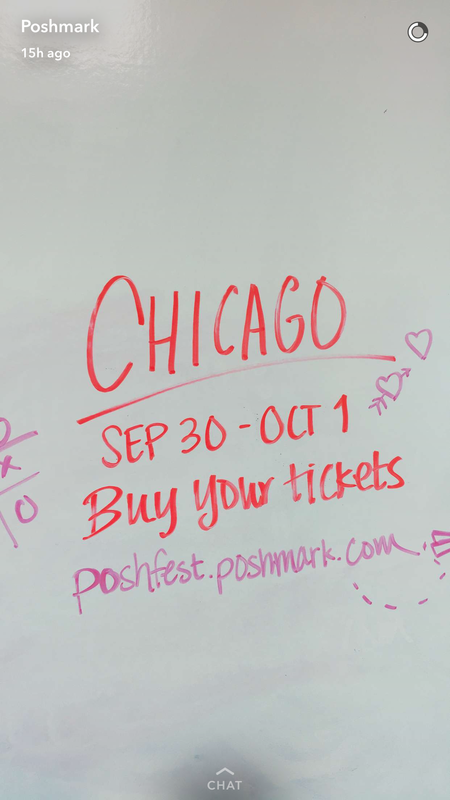 If you’re planning on going to Poshfest, check out this blog post on what to wear! What venue in Chicago is Poshfest going to be at? Not sure yet they haven’t announced!